With so many blogs out there, you have to do everything that you can to ensure that you are able to retain the readers who visit your site. 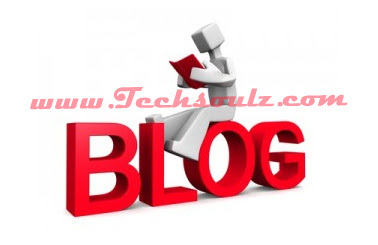 If you have a poor looking blog, then you will find that it is not going to be easy to do. Even if you have the best content in the world, it won’t make a difference if no one can bear to be on your site long enough to read it! The topic of your blog does not matter. You could be writing about VPN services, fashion, writing, or anything else and unless you have the right layout and design for your blog, people just aren’t going to stay. When you use a quality platform, such as WordPress and a good theme, you will find that the layout should not be too much trouble. Still, knowing a few of the design flaws many blogs have will help clue you in on the things that you need to avoid. The font is one of the most important aspects when it comes to the readability of your blog, even though too few people think about it when they are designing. It’s true that you want a font that matches the tone of your blog, but it is more important to have a font that people are going to be able to read. Stick with a common font that will render in all browsers, and make sure that you have a font that’s large enough for everyone to read. You do not want to have people squinting and leaning toward their screens just to see what you are talking about on your blog. They are not going to be happy about it, and they are not going to return to your site. You also want to make sure that you have a good background. The temptation to have a busy background with too many design elements will be there, but you have to squash that desire. Again, simplicity can help. In addition, make sure that you are using a good color scheme. If you are posting red text on a green or blue background, it is going to be murder on the eyes. Dark text on a lighter background is usually the best option. You have to think about the poor people who are going to be reading your blogs! Negative space is important in art and it is important in the design of your blog as well. If you have long walls of text that have few breaks in them, you can imagine that people are not going to want to read them. It looks too daunting. Instead, you are going to want to break up that text with some subheadings. This makes the text quite a bit easier for readers to skim. Another option that you might want to consider would be adding some bullet points and lists. This helps to break up the text as well. You do not have to have them on all of your posts, but having them occasionally will add more interest to your site and make it easier to read. In addition to the text that you have, consider some of the other things that you can place on your site. For example, you will want to have some photos to help liven up your site and your text. Videos can work quite well too, and you might want to add some videos occasionally to add a bit more interest to your site. They could be video that you find and embed or your own video.